Rain. Snow. Sleet. Mud. Not to mention sweat. 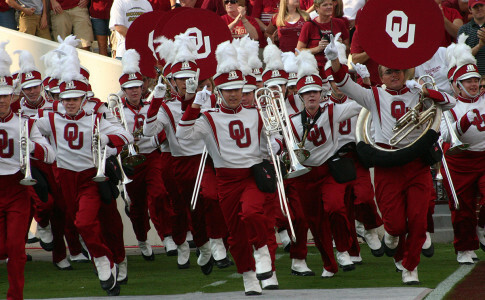 These are only some of the elements braved by marching uniforms throughout the season. To keep your outfit looking great and in working order, find out how parent and student uniform managers handle the task. 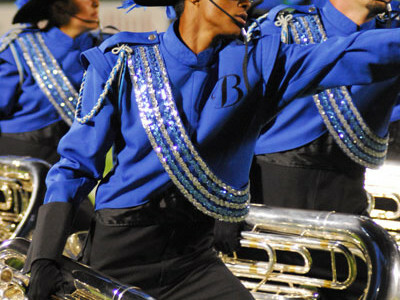 Everyone knows how good it feels to get out of your uniform after marching in a great show. You should be proud of the “blood, sweat and tears” that go into a great performance, but make sure that they don’t stay on your uniform! Sometimes students don’t think much about the hard work done by “band moms” or parent and student uniform managers. Here’s an inside look at how they prevent uniforms from stinking up the band room. Also, they provide tips on what you can do to help. Whenever I give students a uniform, I give them written and verbal instructions on how to take care of it, and we reinforce this by making sure that the parents see this information as well. In preparation for performances, we remind the students regularly to think ahead and get things cleaned. We give all the new students and incoming freshmen all the pieces that they need. They’re expected to keep and take care of them for the whole time that they’re in the marching band. If their size changes, or if there’s a problem, we replace the needed article with another piece from our inventory. I’ve had a lot of success with “magic erase sponges”; they take the scuff marks off of shoes and hats. I’ve also had pretty good success using handheld electric “de-fuzzers” to take off some of the little lint balls that develop; they brighten up fabric a little, too, when it’s getting worn down. I think the biggest thing that helps me is to be organized; I use a spreadsheet to keep track of everyone’s articles. Uniform management is a little overwhelming, so keeping track of who has what is very helpful. Keep things organized by size, and stay on top of alterations that need to be done. Here at Mount Hebron, there’s a group of parents that helps with alterations. Things that fit well are less likely to get worn out at the hems or seams, which is one of our biggest problems. With the rain, we have clear ponchos that are pretty heavy duty. If the students are doing a show, obviously the judges prefer that they not wear them, and then the uniforms get wet. If that happens, then after the performance when they take off their uniforms, we spread out the uniforms in the band room, so that they dry. We let them dry overnight. If the field was muddy during the performance, we get some volunteer parents to clean the bottoms of the pants with damp cloths. At the same time, if we see that the pants are very wrinkled, we get the parents to take them home and press them a little bit. Try to use big, heavy-duty wooden hangers for uniforms, so that pants do not get wrinkled; plastic hangers tend to bend. Also, get all of the uniforms of the seniors that are graduating and un-hem the pants, so that they’re ready to hem back up for next year’s students. If you don’t take down the hem in advance, they get really bulky because they’ve never been hemmed down. The uniforms go through an inspection; section leaders will look them over and make sure there’s nothing obviously wrong. We are very careful with our uniforms— in fact, we have parents that put the shakos on the kids using gloves. The shoes are a problem in that they all look alike. I usually have two to three kids who can’t find their shoes as we get ready for a competition. Even though the kids hang up their uniforms, we check everything before we put them away in the closet. We do an inventory at the end of the year to check that the hems, zippers and buttons are all correct. The biggest thing about working with teenagers is that you’ve got to have patience—some of them don’t know how to take care of their clothing properly. You’ve got to be firm but patient; don’t pick uniforms up for them every time, or they’re going to do it again. You’ve got to be organized; keep everything numbered and write things down. We know who has what and where things are supposed to be. Keeping the uniforms clean is something that we organize, and we send them out to the dry cleaner once a year. We have a few other girls and a couple guys that help us out. We have a band sorority (Tau Beta Sigma), and there’s a subcommittee whose job it is to take care of the uniforms. Just having a small group of people committed to this really helps. We try to keep the office staff and directors in the know about what we’re doing. Our uniforms are 11 years old, and due to budget cuts, we aren’t scheduled to get any more ‘til 2011 or 2012, so a lot of our job is just maintaining things and hoping that they hold together until we can get new uniforms. We have girls who go through the uniforms and make sure they are hung up properly, and if someone’s done it wrong, then we show them how to do it again. We have some kids who just don’t understand how to hang up a uniform properly. 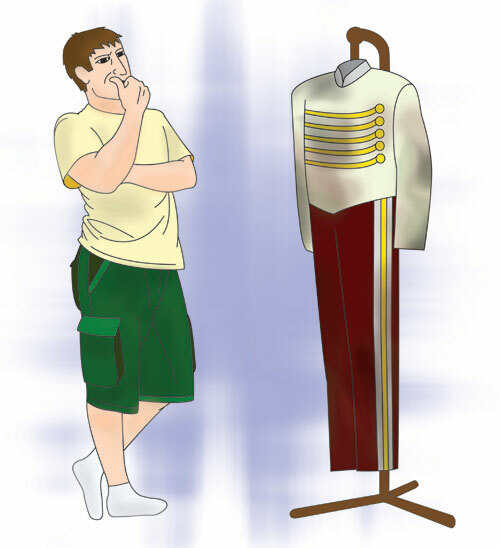 Band and guard uniform manufacturers share their uniform cleaning secrets. “Regardless of the type of construction used in your uniforms, having them dry cleaned will add years of use to them. If you must wash and tumble dry them, we recommend removing them from the dryer before they become completely dry. Also, if uniforms should get damp during a performance, they should be hung on a hanger or seat back to dry. Never put a damp uniform in a garment bag. 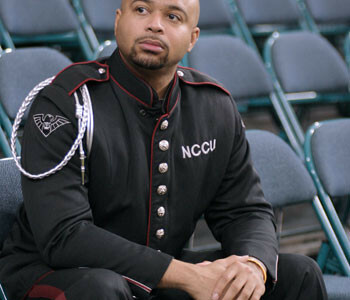 Featuring: Washable uniforms; online design program lets you design your own uniform. “For washable articles, we recommend setting up a uniform committee person to wash them all together because then they’re cleaned within the same machines and with the same detergents in order to have consistent results. “Because machine washable polyester gabardine fabric is so durable and easy to care for, there’s not a whole lot of extra care to be done. It can be treated with your regular household spot removers. It’s a lightweight, breathable fabric, ideal for warmer climates, but it’s also extremely appropriate for colder climates. Our uniform couldn’t be any easier to take care of. “The dry cleaner should not overload his tumbler. If it is overloaded, it will stifle the flow of chemicals into the makeup tank. Perspiration is very toxic, and it can release excess dye. It just depends on how the dry cleaner takes care of extracting that excess dye out and then sealing the dye. Elizabeth Geli is an editorial intern at Halftime Magazine. She is currently a senior majoring in print journalism at the University of Southern California. She began playing flute 11 years ago in her hometown of Placentia, Calif. Now she plays in the USC Trojan Marching Band and has supported the teams at back-to-back-to-back Rose Bowls, the NCAA basketball tournament and as many other games as possible. She also serves as the band librarian.